Based on the interviews I have conducted with 19 women entrepreneurs in Japan, I shared how women business owners in Japan face specific challenges related to the Japanese socioeconomic, cultural, historical, and political context. For example, Japanese business women have to ignore societal expectations and pressures to get married by the age of 25, stop working to take care of the family and household, and then spend the rest of their lives as a full-time housewife. For those who want to choose this lifestyle, then Japan is the perfect setting to do so, or at least it was...now, that Japan has been experiencing a 30+ economic decline, then an increasing number of housewives are starting to go back to work...at least part-time. The number of women in the labor force has increased in the past 5 years, but quite a large percentage are working at low-paying, part-time jobs with no benefits, and no upward career mobility. Thus, when the majority of your friends get married around the age of 25, and many of them stop working, it's quite challenging for women to go against the grain and start their own enterprise. By starting their own business, these Japanese women are part of a small, yet growing population on women, who want the freedom and flexibility that comes with starting one's own business venture. After all, starting one's own venture, means that one is self-employed and doesn't have to report to a boss; rather, one can manage one's own schedule and lead an independent lifestyle. Particularly, for those women entrepreneurs with children, it seems that starting a business in Japan, not only leads to more financial rewards, but also provides more flexibility and convenience than a full- or part-time job at a typical Japanese company. Japan, and the rest of the world for that matter, desperately needs more women leaders, women on boards of advisors, women business owners of SMEs, and women entrepreneurs. And the 19 Japanese women business owners that I have interviewed, are quite impressive, so I do my best to share their achievements, share their stories, and help them become even more successful. 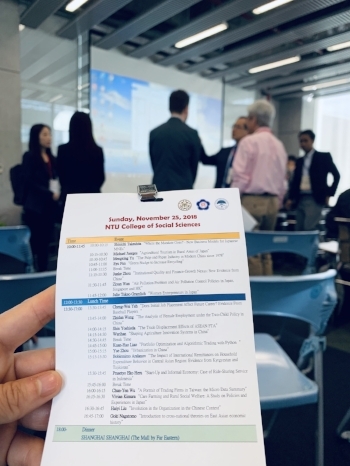 Now, please enjoy the presentation that I delivered at NTU in Taiwan. Thank you very much!